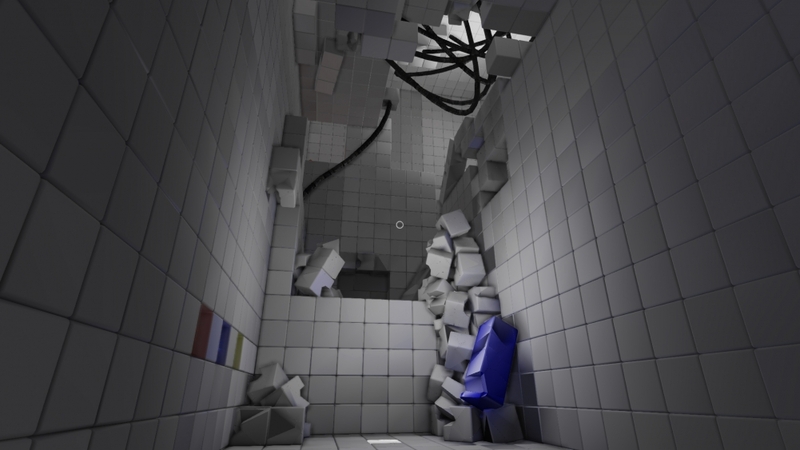 Q.U.B.E (Quick Understanding of Block Extrusion) Director’s Cut is a physics-based puzzle game developed and published by indie developer Toxic Games. 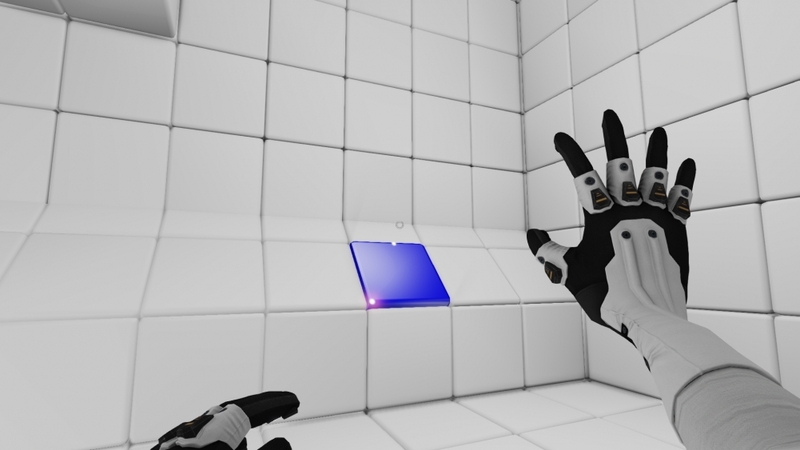 The game is played in first person, and at first glance the game could easily be dismissed as a Portal clone, but scratch the surface and you’ll find an intriguing puzzler held together with a plot most Sci-Fi movie writers would be proud of. This director’s cut brings an all-new storyline by award-winning writer Rob Yescombe and voice acting from Rachel Robinson and Rupert Evans; new original soundtrack and a 10 level time attack mode – Against The Qlock. 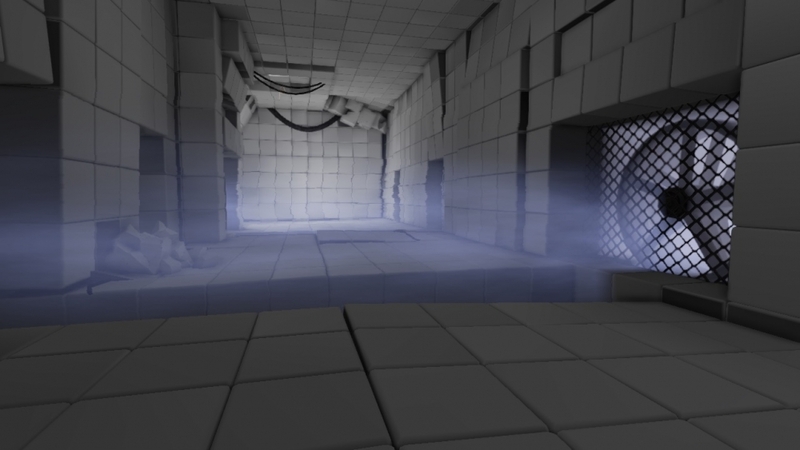 Q.U.B.E puts you in the role of an unnamed protagonist, regaining consciousness riding an elevator into a stark white room. Your ear piece crackles into life and your handler, Commander Novak, tells you not to panic and let you know that you’ve been unconscious for fifteen days. Novak says that she can’t link into your POV camera and your mic isn’t working, so all communication is one-way. Novak goes on to tell you that you may be experiencing memory loss due to deep space travel and that you’re in a cube-shaped object / spacecraft which is on a collision course with Earth. The only way to avoid an impact that will cause an extinction level event is to navigate through the cube, shutting down sectors from within. You’re told the cube is due to hit Earth in a matter of hours, yet there isn’t a counter down time or any real sense of urgency in her voice – although this maybe because the storyline was added after the game code was built. Lastly Novak tells you she’s communicating with you from the International Space Station, and as she orbits out of range, she loses contact. Throughout the game she comes back into orbit, and drip feeds you information about your purpose and your past – although further into the game, you learn from another contact, the mysterious 919, that it may not be wise to take what Novak tells you at face value. The environment itself is made up of minimalistic, near identical white tiled, windowless rooms – which made me think of 60’s and 70’s Sci-Fi movies like 2001: A Space Odyssey and Alien. 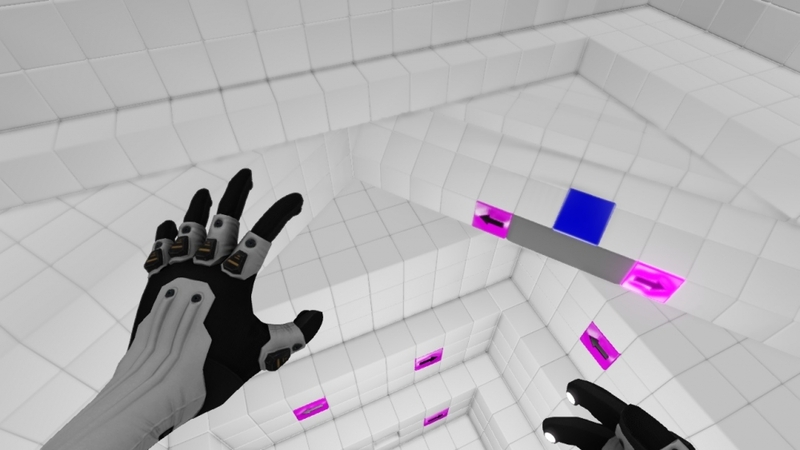 The only colours that break up the sparse, clinical rooms are blocks which can be manipulated using the gauntlets you’re wearing when you awaken. There are no enemies, it’s just you and your puzzle solving skills against the cube. 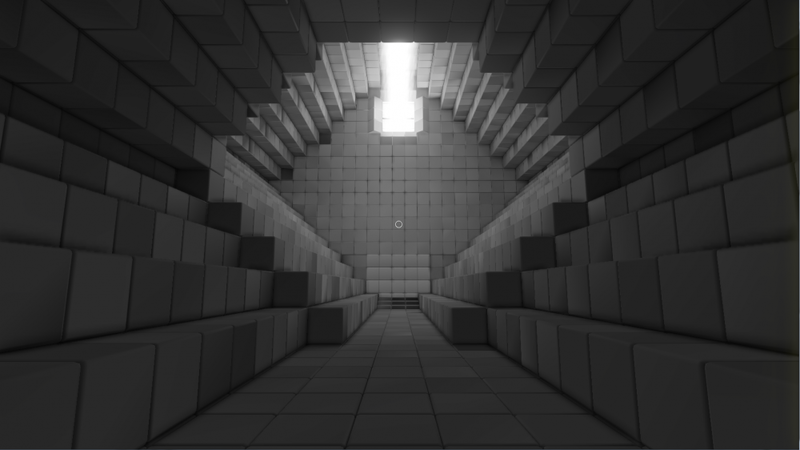 The learning curve is gentle across the first few sectors, giving you a good feeling of how the blocks work, as each colour block responds differently – red blocks increase or decrease in size either vertically or horizontally, yellow blocks can form stairs, blue blocks act like springboards and green can only be manipulated by other blocks within the environment. 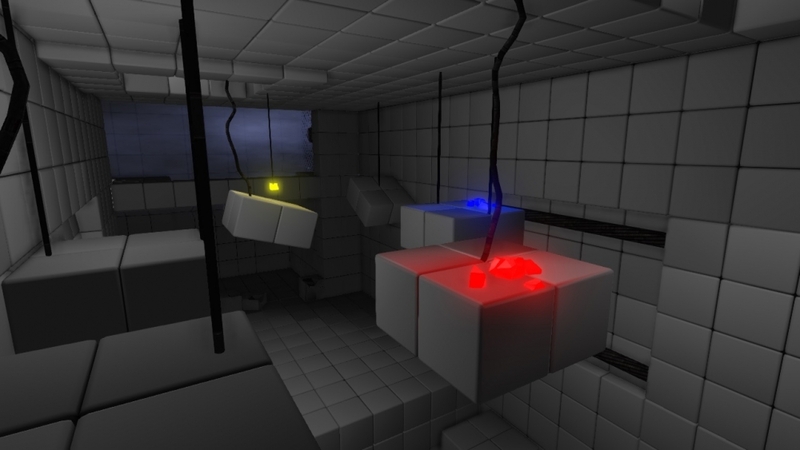 Further into the cube different objects are introduced; rolling balls that you have to move to a certain area using the block mechanics, switches that change the orientation of the room and magnets that can make the green blocks levitate. There are also hidden areas to explore, often in areas that are hard to reach or difficult to make out from the rest of the environment. Deeper and deeper into the game, the cube begins to break down – once pristine corridors are littered with crumbled walls, debris and exposed wires – changing the way you navigate through them and of course the puzzles change with it; blocks can now push exposed wires to activate other blocks that have short-circuited and there are also roaming droid-like balls that have to be coerced into a set route to open the next door. 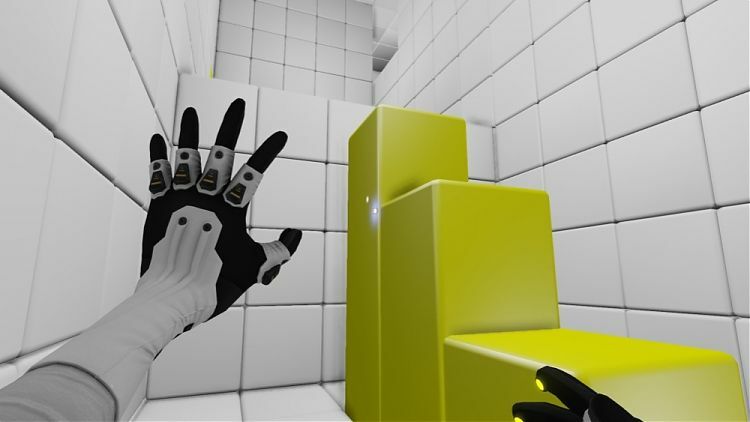 The controls are simple, with the left and right shoulder buttons matching the corresponding gauntlet, activating the blocks with the left, and deactivating with the right. The left thumbstick controls movement and the right thumbstick lets you look around. A single face button makes the protagonist jump. The game is almost devoid of music early on, with ominous chords creeping in a little further into the game. Sound effects again conjure up the nostalgic Sci-Fi feels, with Stark Trek-like sounds when a door opens, complete with airlock hiss. The most frequent sounds are the bloops and bleeps that signify blocks are being activated or deactivated. 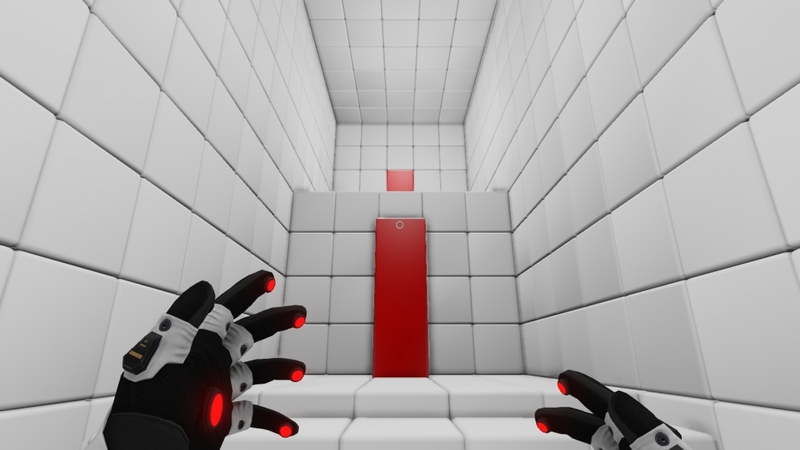 I usually avoid first person perspective games, as I find the sense of disembodiment takes away from my enjoyment of the game – on the other hand I do like puzzle games, so I got a lot of enjoyment from playing Q.U.B.E and quite often lost track of how long I’d been playing for. I found that I got to grips with the game quickly and after fiddling around with the blocks within an area, I’d often have a “eureka” moment and blitzed through a good chunk of the sector, before becoming stuck and another bout of head scratching ensued. 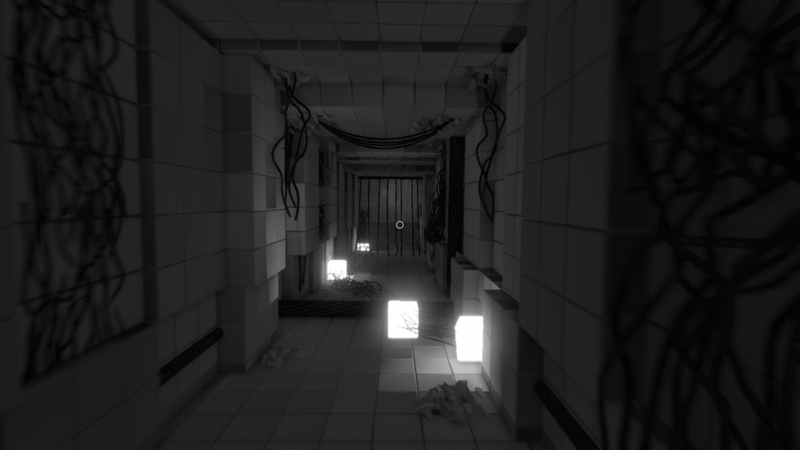 All in all, Q.U.B.E was an enjoyable experience and a welcome break from the majority of games I play. I’d definitely recommend that you give it a go, even if you never solved a Rubiks Cube; the game balances frustration and achievement rather well, and I found that it was enjoyable in either five minute bursts or an involving hour stretch. A great puzzle game, taxing and satisfying in equal measures. 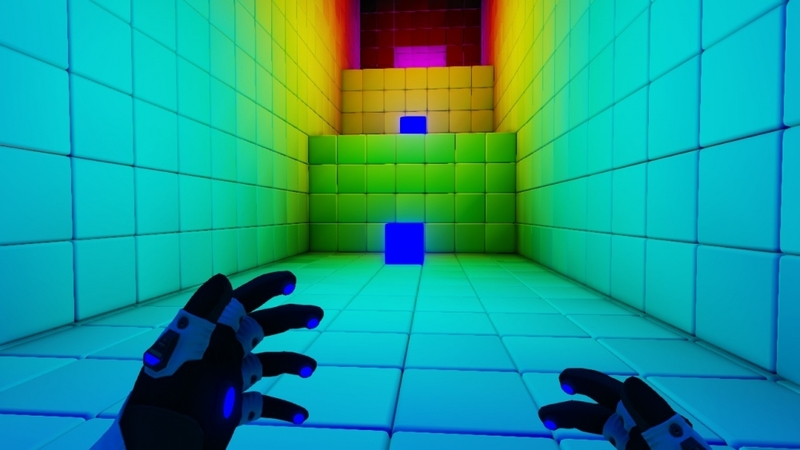 This review is based on playing the PlayStation 4 version of Q.U.B.E Director's Cut that was kindly provided for review purposes by Toxic Games.